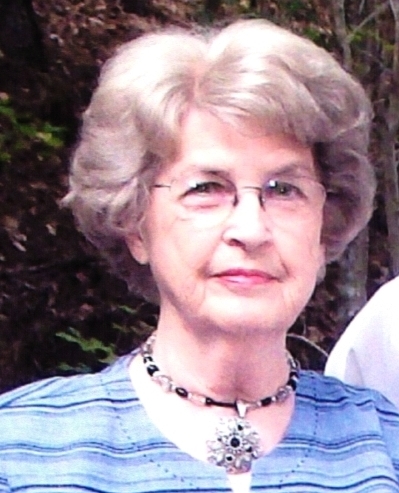 Helen Hignight Mathis, 87, of Arkadelphia departed this life and entered her Heavenly home on Monday, April 15, 2019. She was born in Okolona, AR. on August 16, 1931, to the late Glen and Lucille Haltom Hignight; her 3rd great grandfather Abner Hignight was one of the first settlers of Clark County arriving in 1810. After graduating from Okolona in 1949 Helen married her high school sweetheart. She and Randall settled in Arkadelphia where they raised their children and were founding members of St. Andrews Methodist Church, where she supported her husband’s music ministry and all his endeavors; Helen was simply the “Wind Beneath Randall’s Wings”. Helen had a servant’s heart and enjoyed the simple pleasures in life. She enjoyed flower gardening, floral arranging, cross stitch, decorating, antiquing and collecting bunnies. Helen, worked in accounting for Shepherd Auto Sales for 30 years; after retirement Helen loved country drives, their trips to the Ozark Mountains…..especially Jasper area and trips to Branson with her mother and sister. She and Randall traveled to 48 of the 50 states having many adventures along their way. A wonderful mother, mother-in-law, and doting grandmother and great-grandmother known as “mama”. The growing family spent many weekends and holidays enjoying her delicious home cooked meals. Helen always made the family feel welcome and loved, always serving others before herself. sister; Phelsa Killingsworth of Conway and host of nieces, nephews, family and friends. The family would like to express their appreciation and thanks to the staff of the Atrium at Serenity Pointe for all the Love and Care they provided for their “Mama”. Visitation will be Saturday, April 20, 2019 at 1:00 p.m. with the Funeral Service following at 2:00 p.m. at Ruggles Wilcox Funeral Home with Brother Bob Sanders officiating. Interment will follow at Rest Haven Memorial Gardens.